In the past, it used to be the case that when a movie was successful, it spawned a video game release. That doesn’t seem to happen so much anymore. In fact, the opposite now appears to be true. The movie industry is piling up with adaptations based on successful video games, from mobile titles like “Angry Birds” to classics like “Mortal Kombat.” The transition from video game to film doesn’t always work, and there have been some abysmal releases over the years, but not every adaptation is worth forgetting about. When you heard that they were making an “Angry Birds” movie, you might have wondered how on Earth they’d turn a mobile game into a 90-minute film. However, the people at Columbia Pictures and Rovio Animation showed that anything can become a movie, and it can sometimes turn out well. The film was incredibly entertaining, more so than a lot of people were expecting. It had the heart you’d hope for in an animation, and the laughs too, even if the plot was nothing to rave about. “The Angry Birds Movie” appeals massively to its core demographic of younger viewers, particularly with its colorful animation, but they’re not the only ones it gets laughs out of. Parents who took their kids to the movies to see it won’t have been bored for an hour and a half, even if they weren’t as crazy about it as their children. There have been several iterations of Lara Croft on the big screen over the years. The first and more notable of these starred Angelina Jolie as the titular character across two separate adventures, with the actress praised for her portrayal of Lara Croft. However, it’s the later film released in 2018 which has fared better. Starring Alicia Vikander as the video game heroine, the actress is a better fit for the role than Jolie, and she keeps the film moving until the end credits. While some of the other characters and the storyline might not persuade viewers to stay in their seats, Vikander certainly does. Her acting in the rather grounded action sequences rivals many of her contemporaries and proves that there’s still spark in the “Tomb Raider” franchise some decades after it first started. 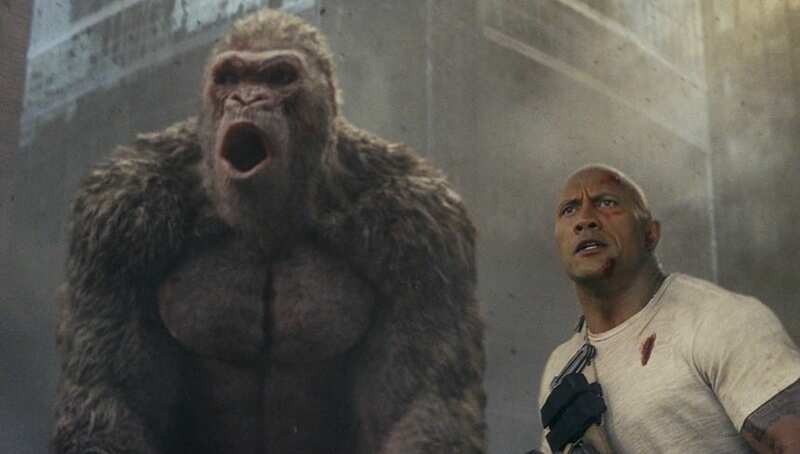 On Rotten Tomatoes, no film based on a video game has a better score than sci-fi monster flick “Rampage.” It’s clear to see why, especially with stellar performances put in by actors Jeffrey Dean Morgan and Dwayne Johnson. As with many films produced of its genre, “Rampage” is full of CGI trickery, so much so that it’s amazing the team behind the movie managed to pull it off without it all looking fake. However, they got the job done and produced a film well worth watching. Although some reviews criticized the parts of the movie that weren’t as exciting, they couldn’t deny that the action was the star of the film. Johnson, who’s more than proved himself as an action star these days, is a pro at the scenes. While buildings are being destroyed and the monsters are literally going on a rampage, he’s there showing that not even giant, mutated animals can do the job better than him. Video games and films are two incredibly different products. Trying to turn one into the other isn’t easy, and a lot of the time it doesn’t work out. However, there are some films out there which seem to have done the impossible and turned a great video game into an enjoyable movie. If you haven’t watched these already, we suggest you get on it.